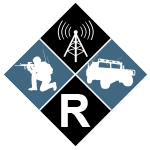 RADIUS is a Communication Planning Tool that automates and simplifies the creation of communications operating instruction for military operations. RADIUS allows communications planners at various levels (e.g. Forward, Theatre and Higher) to collaborate in the development of a communications plan for all of organizations in the area of operations. RADIUS has a simple user interface and workflow that allows planners to quickly and easily create an organization chart, build frequency list, create radio nets and match nets to units and radios rapidly. Faster operational tempo can be supported by employing RADIUS. Automating the repetitive aspects of the planning process and incorporating existing workflow processes reduces the burden on personnel while improving speed and accuracy. By outputting the plan in a machine readable format the speed and accuracy of radio loading is greatly improved while reducing human error. 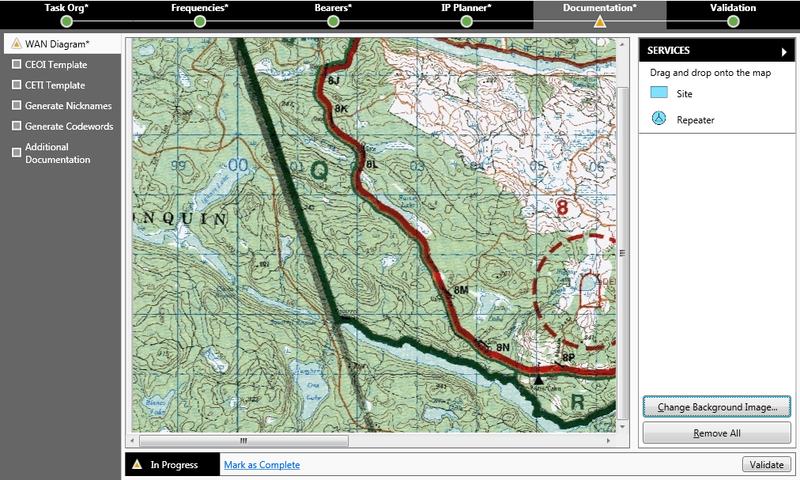 The simple user interface allows planning staff to become comfortable with the operation of RADIUS within a single 45 minute training session. RADIUS uses the Windows operating system, so planners are more likely to be more familiar with the software operation over Unix/Linux-based applications. RADIUS‘s modular architecture allows it to be customized to support your specific equipment characteristics. As new equipment is purchased or upgraded RADIUS can be easily adapted to match the new configurations. Plans flow up and down through an organization using RADIUS. This allows for certain aspects of a plan to be created at higher, sent down to a lower-level to complete the detailed allocations of frequencies and nets. Once completed, the plan can be merged with other lower level plans to create the overarching master plan. Planners can switch on-the-fly between languages. Having the software in the mother-tongue of the users greatly reduces training overhead. RADIUS can have multiple languages running within the same operation.